Can you feel it? 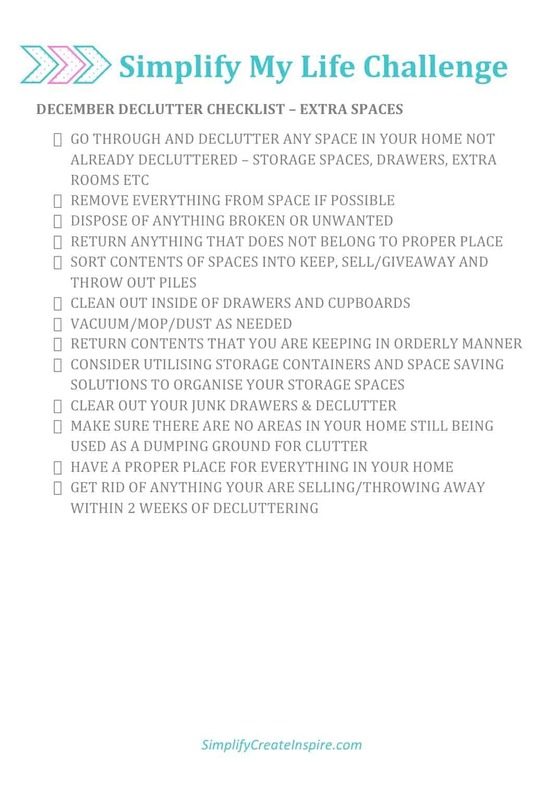 The end is near – we have reached the final declutter task for the year as part of the Simplify My Life year long challenge. If you have managed to keep up, give yourself a big pat on the back right now. If you have only just discovered the challenge, that’s okay too… it’s all about helping you to simplify your life so anytime is a good time to start. This final month we are tackling all the areas we may have missed already – those extra storage spaces and rooms that were not covered by other months declutter tasks. So those extra cupboards or maybe you have an off site storage space like a rental shed. That needs a declutter too, right? And while not common here in Australia, if you happen to live in a house with a basement or an attic, that’s definitely a space that needs to be tackled. This can also include any extra junk drawers not in rooms we have mentioned or any space you just need to catch up on really. 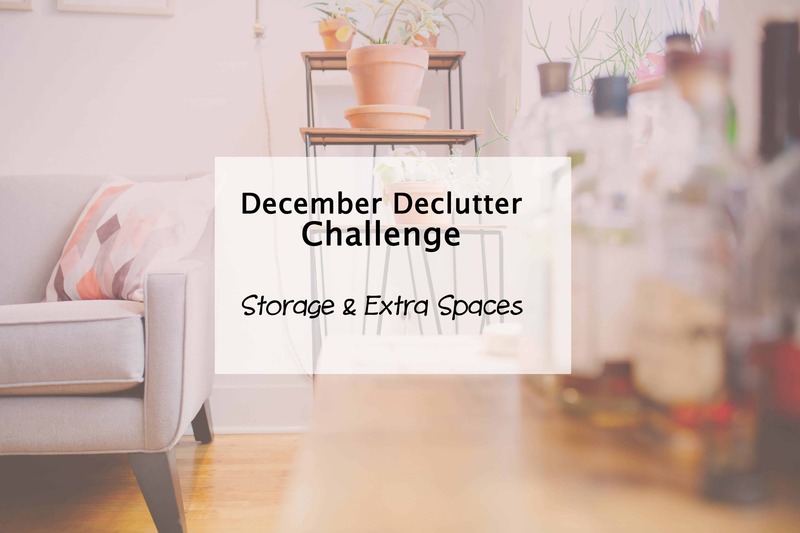 So a pretty open task this month – declutter all other spaces and storage! For us this means our front room which is like a second lounge room and the area that became the dumping grounds for all the stuff I’ve been decluttering and removing from other rooms in the house to sell or give away. It was once a fairly neat second lounge room type space. It was anything but that more recently! Stop hoarding ‘just in case’ items. Or multiples. If you have just found the challenge, that’s okay. It’s never too late to join in and work on the spaces you need to declutter, organise and simplify in your life. Otherwise, if you are running behind, you can catch up any time. Just print off the checklists and work at it in your own pace. Don’t forget to pop back next Tuesday for the last Organise challenge for the year – and it’s a little bit festive! Do you make good use of the extra storage spaces in your home or do they need some work?